I took my family back to Souls Restaurant for the Sunday dinner buffet. Read my full review with pictures after the break. 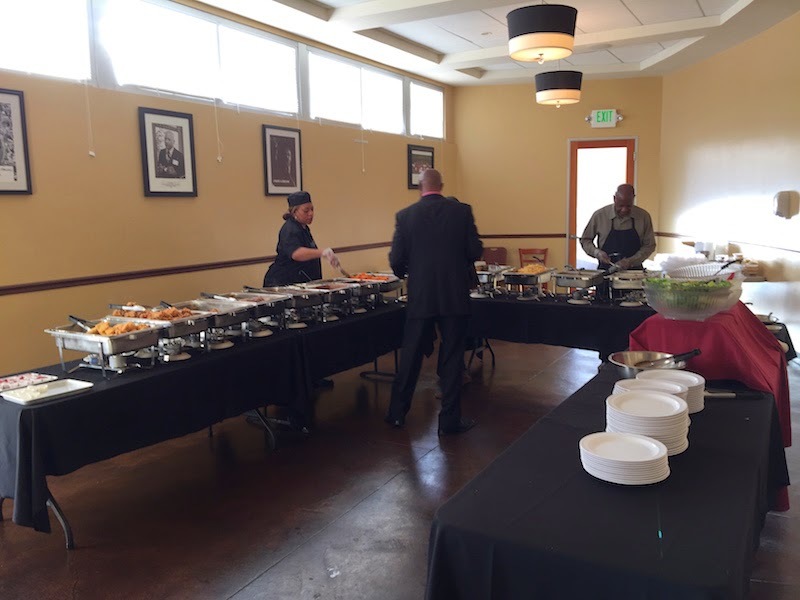 The Sunday before Christmas, we decided to try the Sunday dinner buffet at Souls Restaurant in Oakland, California. I had just been there a few days earlier for lunch with my father-in-law (read my full lunch review here) and we enjoyed it so much we wanted to take the rest of the family there. I had first heard of Souls Restaurant from an episode of Check, Please! Bay Area. There are two Sunday brunches at Souls: the breakfast brunch (chicken and waffles and such) from 9 AM to 1 PM, and a lunch / dinner brunch (see my list below) from 2 PM to 7 PM. 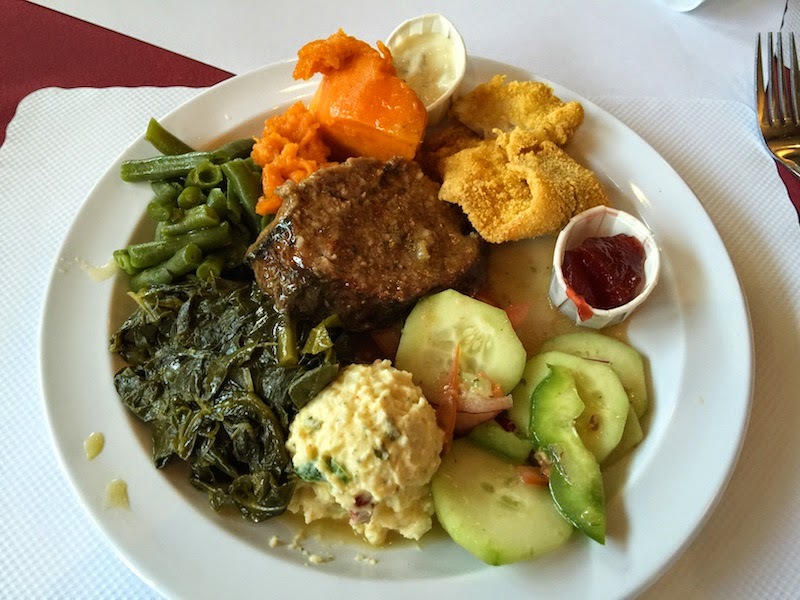 Souls Restaurant serves soul food and is run by the members of the Acts Full Gospel Church. We arrived a little before the opening time of 2:00 PM. However, things opened a little late and there were already about 20 people in line. Looking back on our visit, we probably should have arrived at 2:30 or 3:00 since we still would have been seated, and would not have had to wait in line. The buffet is set up in the adjoining room, and servers place items on your plate for you. You can return for a new plate as often as you like. Everything at the buffet was fresh and delicious. The fried chicken and fried catfish are especially good, as are the collard greens. And the beef ribs were very tender with a lot of meat. You can get an order to go, and we saw a lot of people arriving after church to pick up a to-go tray. As before, the service was extremely efficient and friendly. The waitress remembered us from our visit the week earlier. The other patrons are friendly as well, and we found ourselves chatting and joking with the diners nearby our table. The Sunday brunch is a great way to try a variety of dishes for one reasonable price. 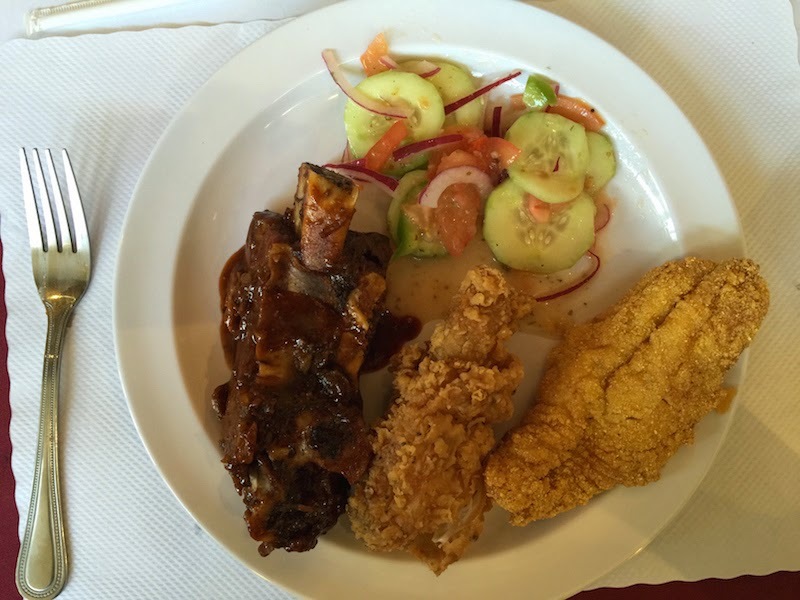 We will definitely be going back to Souls Restaurant's Sunday buffet. We will probably try the morning breakfast buffet the next time. 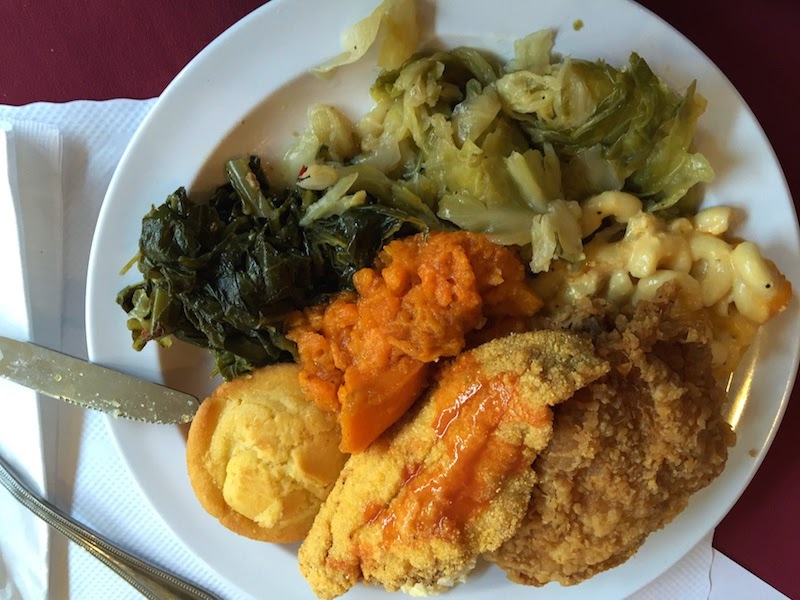 This is the best soul food buffet I have been to since I ate at Dooky Chase's in New Orleans last month (read my full review with pictures here). Have you been to a good buffet lately? Where was it and how did you like it? Let me know in the comments below.